Make your chimney a focal point with a chimney pot from Superior! More than 45 styles to choose from or we can create custom designs to provide the look you desire. A traditional wood-fired design for today’s serious baker, masonry ovens have been built in American homes since the first colonists landed here. 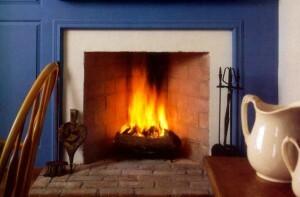 The Rumford Fireplace is tall and shallow with steeply angled side walls and an elegant, curved throat. They are easy to install using Superior Clay’s line of Rumford components, backed by our excellent technical support. Superior Clay Corporation produces and designs components for masonry fireplaces in a complete range of styles and sizes. Superior Clay provides complete technical support. Our products are hand crafted with a passionate attention to detail, and our service and support are what you might expect from a trusted friend. Superior Clay manufactures quality handcrafted clay products used in custom fireplaces, wood-fired ovens and other ornamental, architectural products. Navigate the pages above to find the product you are looking for, or, you can download or view our catalog here. Our clay products include Rumford fireplace components, clay chimney pots, herringbone fireboxes and brick masonry bread ovens, as well as a variety of other quality clay products. Find a dealer near you. Baking purists know there is no substitute for these ovens made of brick. Now you can have a traditional brick oven in your home or backyard. 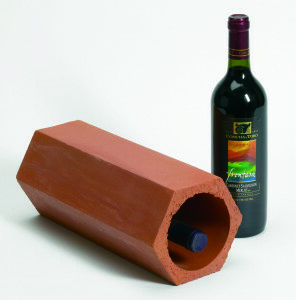 Clay wine storage tiles, with their unique physical properties, have been used to safely store valuable wine collections for centuries.